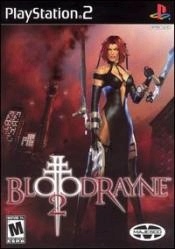 Box Text: Bloodrayne is on the hunt again, but now she's stalking her own flesh and blood through a city under siege. Her nefarious siblings have united to create a new era of vampire supremacy. Now only Rayne stands between an unsuspecting humanity and a horrifying dawn. 04-17-2014 instantreplay Box Text Bloodrayne is on the hunt again, but now she's stalking her own flesh and blood through a city under siege. Her nefarious siblings have united to create a new era of vampire supremacy. Now only Rayne stands between an unsuspecting humanity and a horrifying dawn. 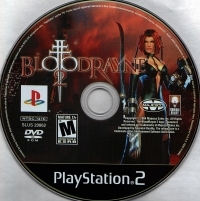 This is a list of VGCollect users who have BloodRayne 2 in their Collection. This is a list of VGCollect users who have BloodRayne 2 in their Sell List. This is a list of VGCollect users who have BloodRayne 2 in their Wish List.